94 x 94mm printed CMYK both sides on 900gsm micron matt board. Die cut to shape with rounded corners. 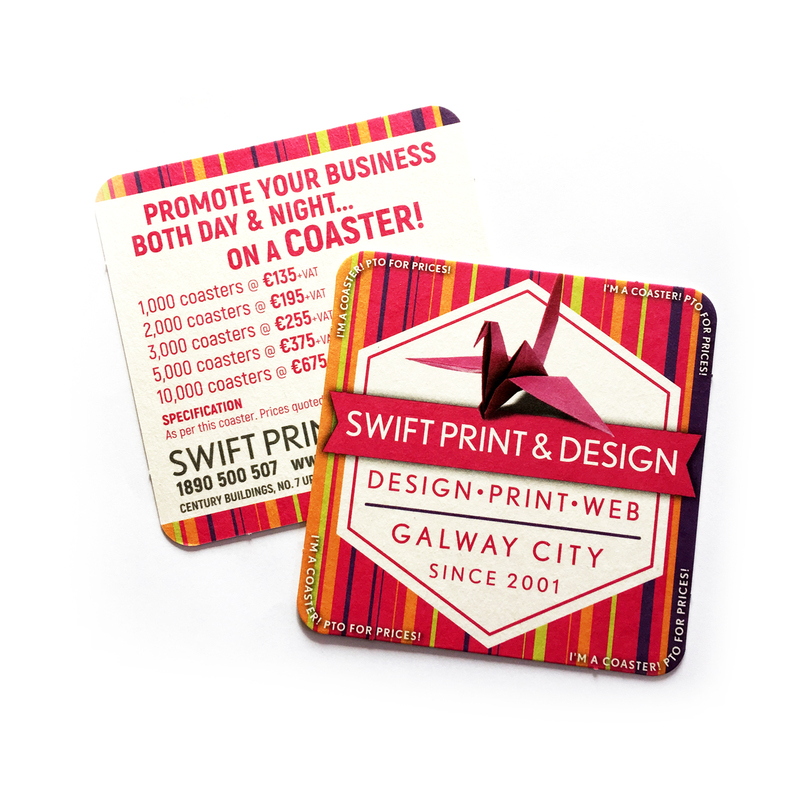 Contact us today to find out more about printing your own custom coasters!